Nancy K. Dillon is an award-winning American songwriter/performer possessing an extraordinarily warm and expressive voice, unique in its ability to reveal both strength and vulnerability. With a finely focused musical ear, Dillon mines a vein of avant garde Americana in her compelling tales of mythopoetic darkness and light melding past and future. She has released three solo studio albums and a 6-song EP (Live at The Royal Room). A Christmas single "In the Bleak Midwinter" was released on Rose Rock Records December 2017. Her third full-length studio album, "A Game of Swans," was released in the USA January 2018 and to the UK & Europe on December 25, 2018. UK Magazine Folking.com's Dai Jeffries has reviewed Nancy K Dillon - "A Game of Swans" ~ January 2019 ~ "People may talk about “pure” Americana but this is the real thing." Just in! Northern Sky Magazine's 4 star review of Nancy K Dillon - "A Game of Swans" ~ January 2019 ~ Mark Higgins: "....an album of smooth Folk Blues and Country by a fine vocalist and songwriter. It flows around you, comfortable, comforting, well crafted and warming, like a familiar vintage coat on a fresh woodland walk." "A Game of Swans" to be released in UK/Europe December 2018! 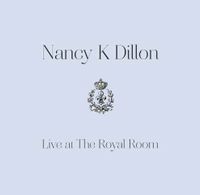 FOLK DJ Chart for January 2018 : So pleased to see Nancy K. Dillon's "A Game of Swans" album in the Top 20 (at #19!). Also Nancy K. Dillon is #28 on the Top Artists List for January !! FOLK DJ Chart for February 2018 : A 2nd Month on the FOLK DJ Chart!! Nancy K. Dillon's "A Game of Swans" album in the Top 50 for February 2018 ! 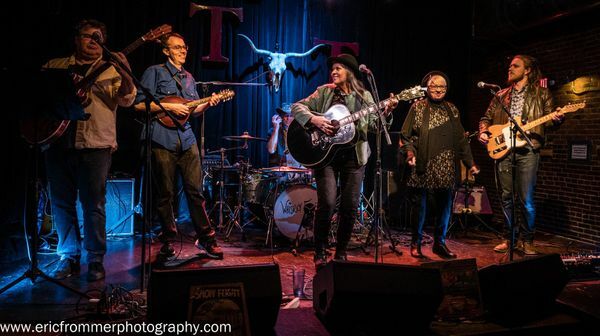 Seattle CD Release Show: March 4th 2018 at Tractor Tavern. Tickets available at ticketweb.com. January 20, 2018 is "Official USA Release Date" for "A Game of Swans" by Nancy K. Dillon. Order your copy of "A Game of Swans" from iTunes, CD Baby, BandCamp or Amazon today! Do you Spotify? Check out Nancy's Spotify Artist Page and "Follow" - see button below. On her newest recording, "A Game of Swans," Dillon hearkens back to her ancestral roots in Ireland, Scotland and England. Like her forebears, her gaze is firmly forward as she listens to dreams, makes plans and watches for signs leading into a new future. The 12 tracks on "A Game of Swans" contain haunting stories married to antique strains of Celtic melody migrated to America: strains that have always flowed just beneath the surface underpinning Dillon's music. "A Game of Swans" contains 10 originals and collaborations as well as Nancy's version of songs by Drew Nelson/Janni Littlepage and Pat Long. The stories related on "A Game of Swans" draw characters from lost gold mines, haunted pioneer cabins, railroad hobos and immigrants' prayers for last chances. Simpatico musical support from uber-talented friends in America, Britain and Scotland color this new project with the perfect tones. Inspired by the varied migratory paths taken by both her Georgia Loyalist and Scots-Irish Presbyterian forebears as they aimed towards better futures, Dillon herself took flight from her beloved home state of Oklahoma into the vast American West. Settling in the verdant beauty of the Pacific Northwest allows for road trips that still the mind and feed the imagination. As a patchwork quilt holds pastel memories of summer dreams and dresses, Dillon's song-catcher sensibilities capture ephemera of the American story. Have a listen....hearken back....and lean forward. "A Game of Swans" Official USA Release Date is January 20, 2018. CD format or Downloads available at iTunes, CDBaby.com, Bandcamp. Stream at Spotify & Apple Music. Rose Rock Records is pleased to announce our release of a new digital Holiday single, the beautiful English Carol, “In the Bleak Midwinter” performed by Nancy K. Dillon & Friends. Available on Spotify, Amazon, iTunes, Apple Music & elsewhere. Recorded in April 2015, this live set is available for purchase at CD Baby. Click here to preview or purchase the album. Ben Mish at the #royal_room rockin' the house.